With the globalization of operations, having a global procurement network that can bolster and respond to an organization’s supply chain needs is vital. 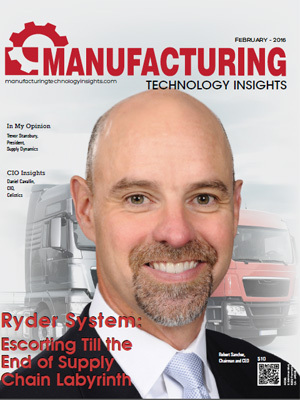 Organizations are now harnessing Supply Chain Management (SCM) solutions in order to manage all the resources that work toward meeting customer demand for their product or service. The CEOs, CFOs, investors and board members can no longer treat SCM as an afterthought- it has risen to be a key player for businesses. The concept of SCM isn’t new; it has witnessed a steady increase since the time when manufacturers started to make their collaborative relationships with suppliers, vendors and other stakeholders in the system. Due to the consistent growth of SCM in last few years, the environment has become quite competitive. For this reason, many organizations are adhering to the trends that are impactful for the SCM landscape such as Supply Chain Visibility, The Manufacturing Factory of the Future, Internet of Things (IoT), Vendor Management Inventory (VMI), Collaborative Planning Forecasting and Replenishment (CPFR) and more. 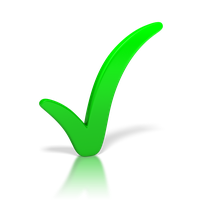 That being said, it’s still a challenge to select a strategic vendor that provides SCM solutions with consistent global quality and a reliable local service. 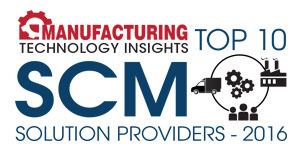 A distinguished panel comprising CEOs, CIOs, VCs, analysts, and the Manufacturing Technology Insights’ editorial board has selected the top supply chain management solution providers.